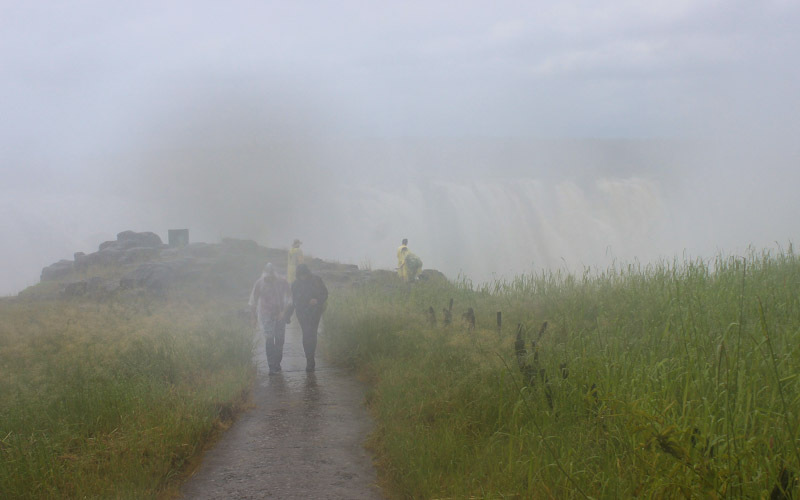 Visiting Victoria Falls in February – What is it like to experience Victoria Falls during the rain season? 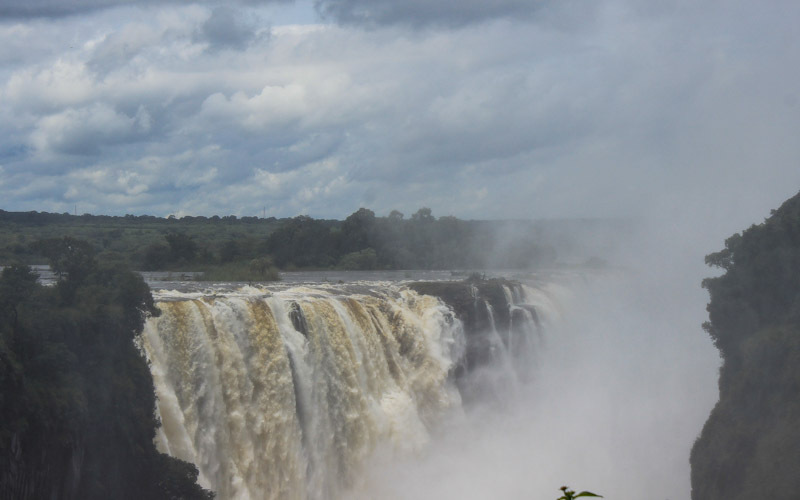 This blog post sums up my experience of visiting Victoria Falls in February. Located on the border of Zambia and Zimbabwe, Victoria Falls is one of Africa’s most famous tourist sights. The massive waterfalls are listed as one of the Seven Natural Wonders of the world, attracting hundreds of thousands of tourists every year. Depending on the timing, your experience at Victoria Falls can be very different. The face of Victoria Falls changes throughout the year, and many activities are only available in certain seasons. Here’s what it’s like to visit Victoria Falls in February. Victoria Falls are 1.7 kilometers wide and over a hundred meters high, but it’s difficult to see the full width or height behind the mist in February. 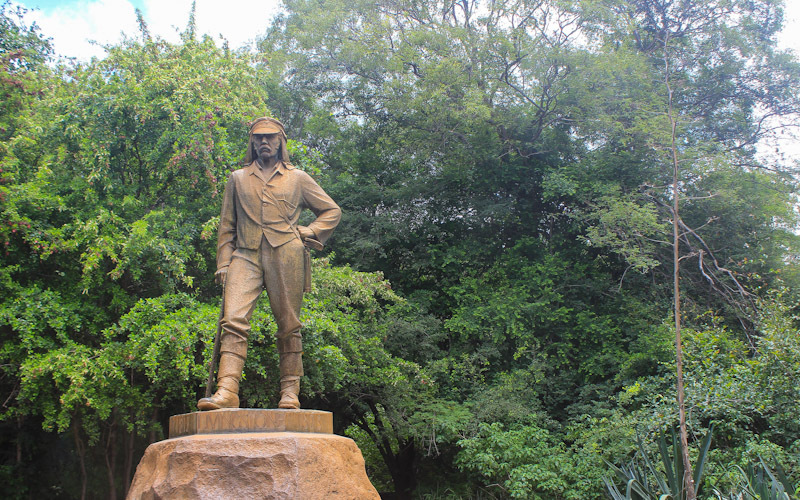 David Livingstone was the first known European to visit Victoria Falls in 1855. The most popular time to visit Victoria Falls is from July to October. During this period, the rain season is turning down and you should get a clearer view of the waterfall. Most outdoor activities are also available at this time of the year. After the high season comes the dry season. November to January is the least popular time to visit Victoria Falls. Instead of blasting at full force, the falls split into separate sections. There should be less mist around, though, so you should see the waterfalls more clearly. The rainy season starts in January and last until around June. The water levels go up as the falls switch to full force. Some activities – such as the popular Devil’s Pool infinity pool at the edge of the falls – are closed, and the spraying water will soak anybody who gets close to the falls. I visited Victoria Falls on the Zimbabwean side. 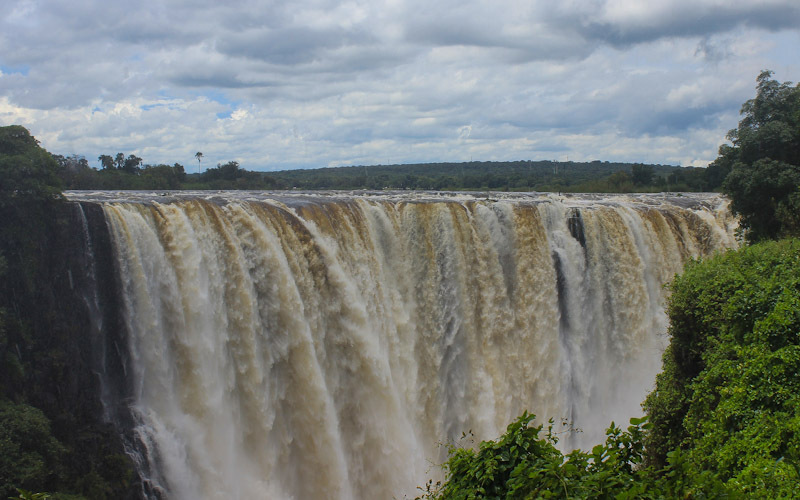 A Swiss traveller I met said the falls felt more intense in Zimbabwe, but he could see a wider stretch of the falls in Zambia. I visited Victoria Falls in late February. The rain season was well under way, although this didn’t mean constant raining. Instead, the rain came on strong bursts that didn’t usually last very long. It rained every evening and once or twice during the day. 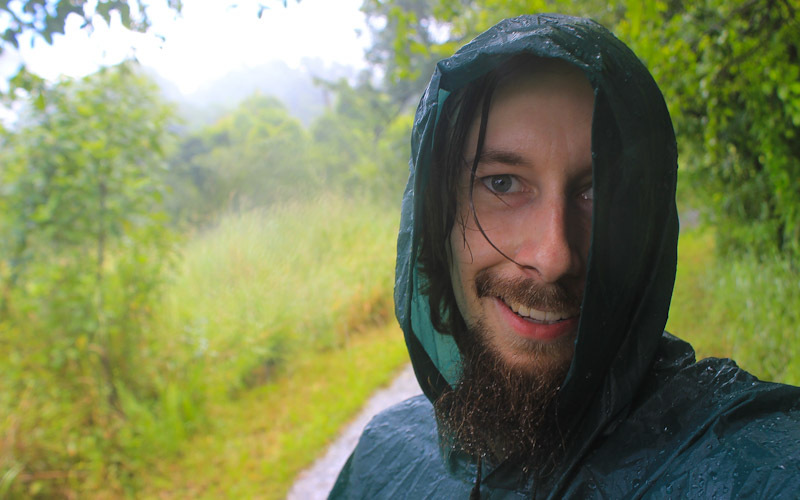 When I went to see waterfalls themselves, it wasn’t technically raining from the sky. Still, you are bound to get soaked. A lot of the spraying water comes down as heavy rain on the viewpoints. Bring your raincoat (or rent one for about 2 US$ at your guesthouse) and protect your camera and other items from water. 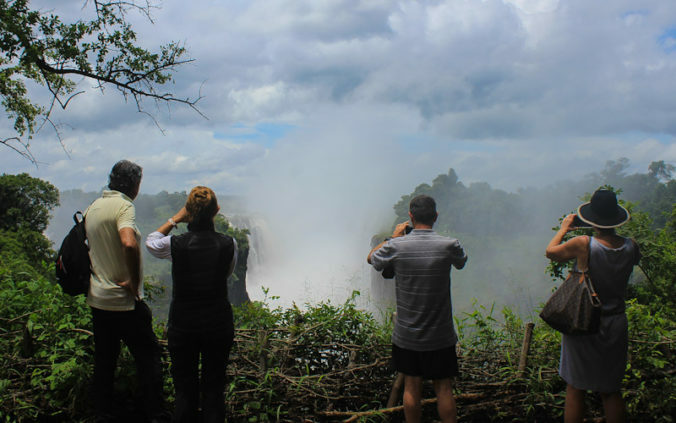 I was surprised that I saw relatively few tourists at Victoria Falls in February. When I stayed on the Zimbabwe side of the border, my guesthouse Victoria Falls Backpackers was nearly empty. That was quite unexpected, considering it is the most popular budget accommodation in town. There were more tourists staying in Livingstone on the Zambian side, though. A lot of the rising mist falls down as rain, so you’ll get soaking wet at the viewpoints.. I may have had too high expectations for Victoria Falls. When I went to Victoria Falls National Park to see the falls (30 US$ for entry) on the Zimbabwean side, I thought the falls were… well, nice. Yes, they are beautiful. However, the falls did not seem as stunning as brochures and guide books make them out to be. Victoria Falls are big, but you can’t really capture their whole scale from the ground. Unless you book a scenic helicopter flight (150 US$ for 15 minutes), you can only see a fraction of the 1.7 km wide falls at a time. During my visit in February, the bottom of the falls and all the parts further away were hidden by the rising mist. 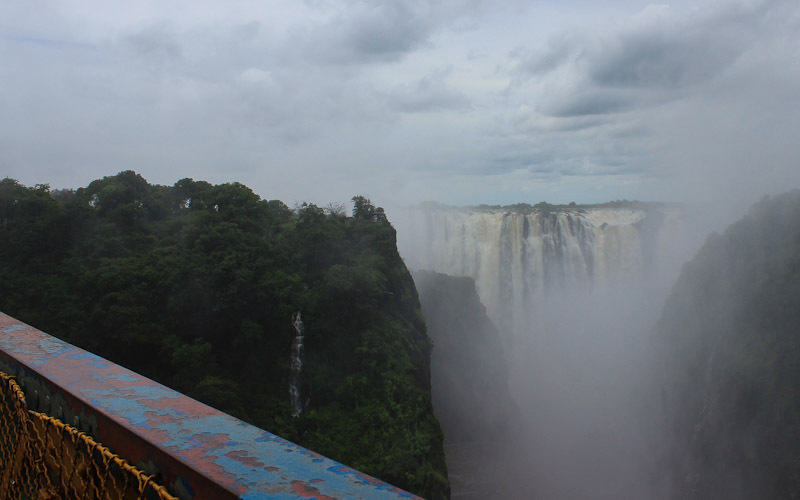 Because of the mist and the sheer scale, Victoria Falls is not the most photogenic natural wonder in the world. The Lookout Café near Victoria Falls offers a view to the zigzagging gorges of Zambezi River. These gorges were formed by the previous incarnations of the falls. I liked Victoria Falls, but it didn’t make to the list of my all time favourite travel destinations. Why didn’t I enjoy Victoria Falls more? The main issue might be my approach. For a lot of people, visiting Victoria Falls is not just about seeing the falls. Instead, most tourists come to Victoria Falls for all the different (sport) activities in the area. 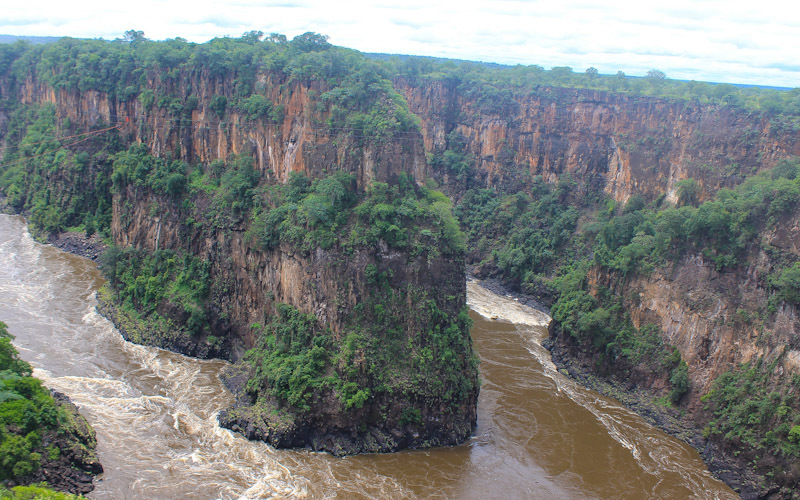 If you want, you can do a bungee jump from the Victoria Falls bridge (160 US$), full-day kayaking trips on Zambezi river (155 US$), crocodile cage diving (70 US$) and tons of other activities. As you can see from the prices, all these activities are very expensive. I’m doing my 2-year trip around the world on a tighter budget, so I chose not to pay for the extra entertainment. Had I wanted, I could have easily spent my monthly travel budget in a few short days. 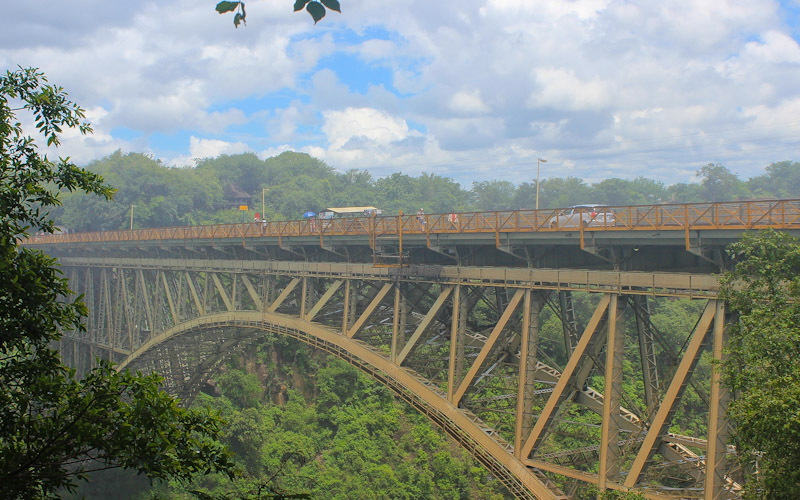 The Victoria Falls bridge serves both as a border crossing and a bungee jumping site. 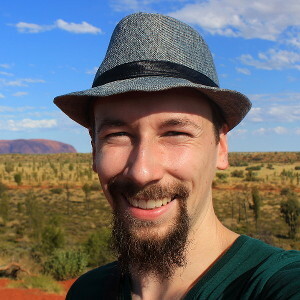 When I visited Uluru (Ayers Rock) in Australia and Grand Canyon in the United States, I felt like hiking around and seeing the natural wonders themselves made me more than satisfied. With Victoria Falls, one might need to spend extra money on activities to get the full experience. Walking the Victoria Falls bridge is definitely the most beautiful border crossing I’ve ever done. Victoria Falls bridge – probably the prettiest border crossing in the world.